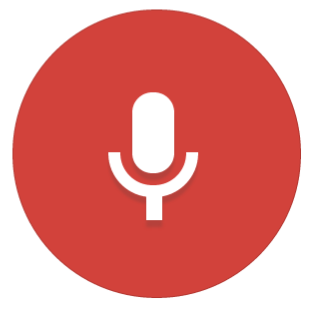 Over on the Android Developer's Google+ page an awesome new feature for Google's voice search was just announced. A small selection of applications will now open directly when using certain voice commands. For example, you can now say, "Ok Google, find houses near me on Zillow," and Google will automatically start the Zillow app, showing a map of properties near your current location (this also works with the applications for Trulia and Realtor.com). Previously a query like this would have directed you to Zillow's mobile site and given you a link to download Zillow's app. Let me give you a few more examples of what you can do with the new voice commands. Need a recommendation for something fun to do on your day off? Just say, "Ok Google, Find me attractions nearby on TripAdvisor," and voila, a list of attractions near you will open in the TripAdvisor app. Want to know movie times for your date later tonight? Try, "OK Google, give me showtimes for Age of Ultron on Flixster," and in seconds you'll have a full list of theaters and showtimes in the Flixster app. I think you get the idea. The implementation right now has some limitations – only a few applications are supported, and even those that are only have one or two specific voice commands that will open the app to perform the desired action. For example, when I tried asking for a place to eat lunch at on TripAdvisor I got a normal Google search result card. That being said, it's exciting to see the possibilities the future holds when custom voice actions are fully implemented. It would be awesome to order a pizza from Papa John's or reserve a movie at Redbox with a quick voice command. Here is a more complete list of the apps that are currently supported that I found here. Flixster: "Show me Inception on Flixster." Lincoln: "Start my Lincoln MKZ." NPR One: "Listen to NPR." Realtor.com: "Show rentals near me on Realtor." TripAdvisor: "Show attractions near me on TripAdvisor." Trulia: "Show homes for sale in Boston on Trulia." TuneIn Radio: "Open TuneIn in car mode." Walmart: "Scan my receipt on Walmart." Wink: "Activate home mode on Wink." Zillow: "Show me open houses nearby on Zillow. Google would also love to hear feedback from developers who are interested in implementing their own custom voice commands and invites them to share their ideas here.